The first electric car coming out of their factory in Tuscaloosa will be Mercedes EQC SUV. 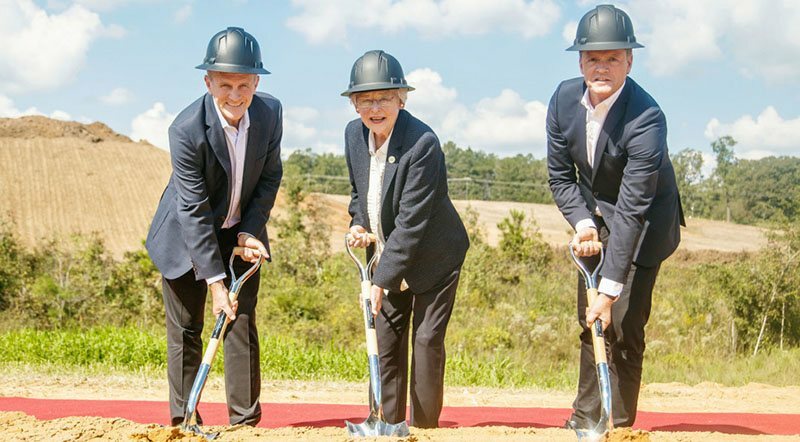 To take care of its electric car battery needs, Daimler is going to build a battery plant in Tuscaloosa, Alabama. This battery plant is just seven miles away from the factory plant producing most of Mercedes’ SUVs. The groundbreaking ceremony was carried out on October 5, the same day when Mercedes developed a prototype of refreshed 2020 GLE. Daimler stated the first electric car coming out of their factory in Tuscaloosa will be Mercedes EQC SUV, due in 2020 with 200 miles of standard range. Daimler is moving fast toward its goals of producing more and more battery plants in the world. The automaker is looking to add eight battery plants to power its electric cars as well as offer energy storage solutions. This will enable Daimler sister companies to bring electric cars faster than other automakers around the globe. The company may even be exporting the batteries on demand. Do not forget, Mercedes has plans to bring 10 electric vehicles by 2025. The imminent task is to introduce an electrified option for each model by 2022. The new battery plants are sure to make this transition easier.